Dog guards are considered as one of the most popular car accessories on the planet. Therefore I would like to make my personal review on various pet barriers types, as there are quite a few you can choose from when browsing the internet. So my aim is to provide an independent opinion on different dog guards aka pet barriers. To be fair, generally speaking there are only 3 major vehicle guards categories: net guard, tubular guard and wiremesh guard. Each of those categories has there own sub categories that we will look more in-depth in the future. 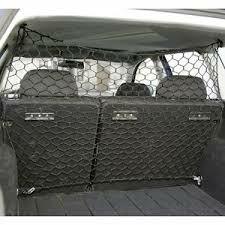 Overview: The net type of guards is the cheapest way to divide your boot from the rest of the car, unfortunately it is also the worst way in terms of safety and protection (both for pets and humans). There’s no way that a net barrier will stop cargo or animals from flying around the car in case of a crush. So the net cargo barrier is only good for stooping small and general objects from falling on the back seats of your car whilst slow speed driving. Overview: Tubular guard is definitely a more safer way to protect you and your dog. 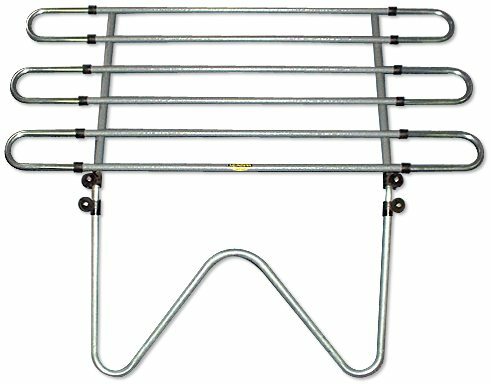 Tubular pet guards are usually easy to install and are quite cheep to buy. However, in case of emergency there is almost no guarantee that they will keep everything in place. This issue is closely related to the fact that the fixing is not stable and is generally quite week. A proper punch can make a significant change to this dog guard placement inside of the car, so you can imagine what the impact will be in case of a car crush on 35mph speed. Overview: Wire mesh dog guards are the best way to keep everything safe and under control. Generally speaking wiremesh type of dug guard is the best kind of pet barrier that you can get. First of all, it is almost impossible to brake one, secondly most of those are car specific, meaning that they will fit your car perfectly. They are quite high on cost but if you want to go for quality and safety then Wire mesh dog guard would be your number 1 choice. 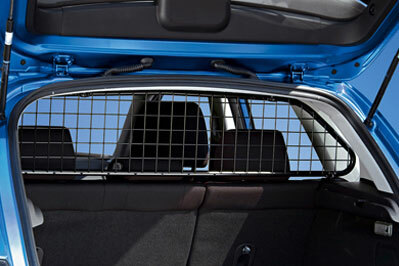 The top manufacturer for wiremesh auto dog guards is Travall – http://www.travall.co.uk/dog-guard . Please come back soon for more information on different car guards!